Governor Rick Snyder today announced the appointments to the Governor’s Council on Physical Fitness, Health and Sports of Wayman Britt of Grand Rapids, Rick Ferkel of Mount Pleasant, Cameron Gordon of West Bloomfield, Andre Hutson of East Lansing, Nicholas (Nick) Payne of Lansing, and Laureen (Laurie) Rospond of DeWitt. Also announced were the reappointment of Scott Przystas of Grand Haven, Andrew (Andy) Younger of Fenton, and Justin Zatkoff of West Bloomfield . The 15-member council works to improve lives and strengthen communities by supporting healthy eating and physical activity. In an effort to further promote healthy lifestyles, the council hosts the annual Governor’s Fitness Awards which recognize Michiganders who have overcome obstacles along their health and fitness journeys. Britt is the Kent County administrator and previously played in the NBA for the Detroit Pistons. 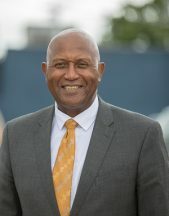 He serves as chair of the board of directors for the Grand Rapids Community Foundation and as vice chair of the executive board for the West Michigan Sports Commission. Britt holds a bachelor’s degree in communications and sports management from the University of Michigan. He will replace Brian Townsend. Ferkel serves as an assistant professor in the Department of Physical Education and Sports at Central Michigan University and is certified by the National Strength and Conditioning Association as a personal trainer and a strength and conditioning specialist. He is a member of the Society of Health and Physical Educators (SHAPE) and serves on the society’s American Midwest District Leadership Council as the Michigan Region 5 representative and as a Michigan Representative Assembly delegate. 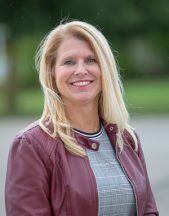 Ferkel holds a bachelor’s degree in education from Bowling Green State University, a master’s degree in educational administration from Ashland University, and a Doctor of Philosophy in curriculum and instruction with an emphasis in physical education and sports science from Texas Tech University. He will replace Thomas Goodwin. Gordon is a former professional football player, having played linebacker for the New England Patriots and the Kansas City Chiefs. Now, as a Michigan State Police trooper, he assists in facilitating MSP physical fitness challenges in Detroit and Flint. He has participated in the Ross Initiative in Sports for Equality (RISE), which aims to use sports as a platform to improve race relations by connecting professional athletes, educators, and different organizations. Gordon holds a bachelor’s degree in sociology and Afroamerican studies from the University of Michigan, where he played four seasons of collegiate football. He will replace Anuja Rajendra. Hutson is the owner of Conquest Fitness and the founder of the nonprofit Conquest Health and Fitness Foundation. He is a former Michigan State University basketball player and played professional basketball in Europe for nine years. 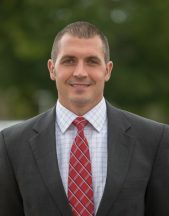 Hutson holds a bachelor’s degree in finance from Michigan State University and will replace Jim Pivarnik. “Payne has participated in a variety of recreational activities for most of his life and sees how living an active, healthy lifestyle can improve ones quality of life,” Snyder said. “I believe he will be a great asset to this council.” Payne is a cabinet liaison in the Executive Office of the Governor. He grew up playing, and continues to play, ice hockey and enjoys various recreational activities such as running, hiking, and water skiing. Payne holds a bachelor’s degree in international relations and political theory from Michigan State University. He will replace Paul Barbeau. Rospond is the executive assistant to the chief of staff within the Executive Office of Governor Rick Snyder. She holds a bachelor’s degree in education from Central Michigan University and will replace Lindsey DesArmo. Przystas is a teacher and coach for Grand Haven Area Public Schools. He serves as the head coach for the middle school girls’ track and cross-country teams and assists with the girls’ varsity basketball team. 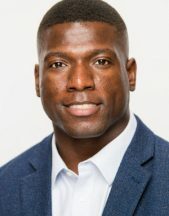 He holds a bachelor’s degree in kinesiology with specializations in health promotion and coaching and a master’s degree in education with a concentration in sports leadership and coaching from Michigan State University. Younger is the race director for the Crim Fitness Foundation where he works with staff to direct the organization’s efforts to create healthy communities through nutrition, mindfulness, and physical activity. 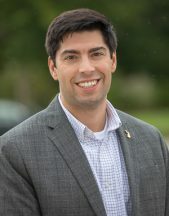 He holds a bachelor’s degree in environmental policy from the University of Michigan and a master’s degree in business administration from Loyola University. Zatkoff is general counsel for Zatkoff Seals & Packings and previously served as an associate attorney at Dickinson Wright, PLLC. He is an avid marathon runner and ironman triathlon competitor in addition to serving as a member of the Young Leader’s section of the Detroit Economic Club. Zatkoff holds a bachelor’s degree in political science from Oakland University and a law degree from the University of Detroit Mercy School of Law. Britt will serve the remainder of a two-year term to expire April 30, 2019. Ferkel, Gordon, Hutson, Payne, Rospond, Przystas, Younger, and Zatkoff will serve two-year terms expiring April 30, 2020.